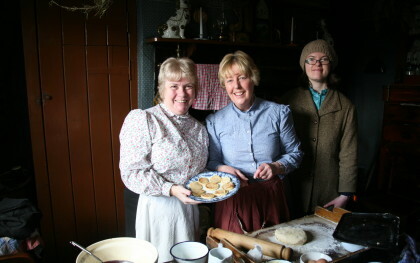 See what’s cooking in the pit cottages, practise your handwriting in the school and visit the chapel. 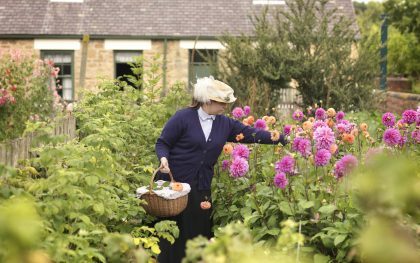 Experience life in The Pit Village, showing a colliery community at the time of peak coal production in the North East. Explore this terrace of miners’ cottages – No.2 is the Methodist family’s home, in No.3 live a family of Irish descent, No.4 is home to a widow who lost her husband in a pit accident, and the Colliery Pay Office is at the end. Look out for the communal bread oven in the back lane – where there may be some delicious home-made bread baking. Try our delicious fish and chips, cooked the traditional way in coal-fired ranges using beef dripping. Not to be missed! Practise the 3Rs in the schoolroom (watch out for the stern teacher) before trying your hand at playground games. Can you master the booler? Discover the region’s proud colliery band heritage in this century-old band hall, that was rebuilt at Beamish after being donated by former band members. Meet our pit ponies and discover their work down the region’s mines – the Durham coalfield had 22,000 ponies in 1913. Pit Hill Chapel – which once stood in nearby Beamish village – is a typical early-1900s Wesleyan Methodist chapel, hosting choirs, services and community events. Tuck into snacks from the Sinkers’ Bait Cabin – the sinkers were the men who sank new mine shafts and their huts acted as canteens and places to dry out. Come and join us for a unique historical floral design experience. 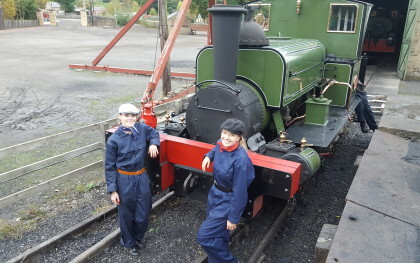 This unique experience allows you to prepare and drive our Colliery Railway locomotives. 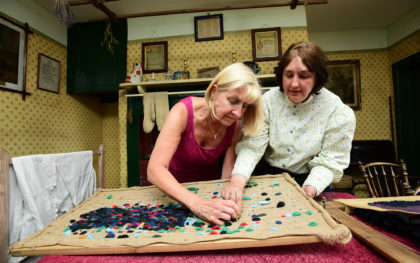 Join a member of our costumed team in this unique opportunity to immerse yourself in the world of an early 1900s Pit Wife. 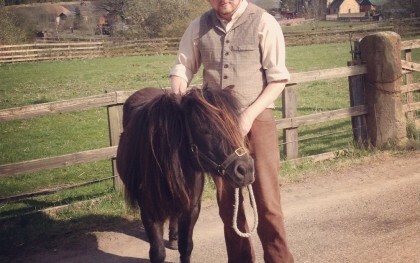 Ever wondered what the working life of a pit pony was like? If so, our Pit Pony Experience is just what you’re looking for. This is a unique opportunity to discover more about the role a pit pony played in colliery life. Be inspired by Beamish Museum's collection of original and unique proggy mats! Make your own proggy mat and take it home, along with your own mat making kit.